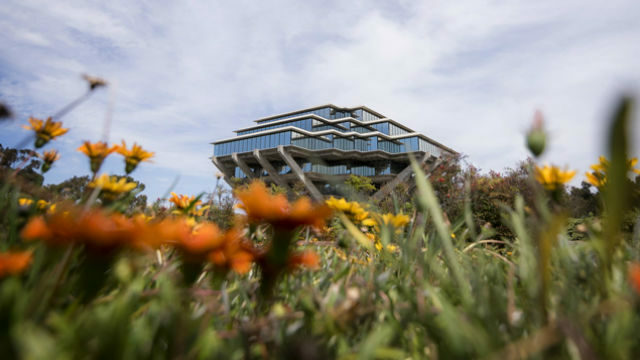 For the second year in a row, the London-based Times Higher Education magazine ranked UC San Diego the world’s number one research university founded during the “golden age” of higher education development. The term refers to the two decades between 1945 and 1967 when higher education was characterized by rapid university expansion and increasing investment in research. UC San Diego was followed in the rankings by Australian National University, Chinese University of Hong Kong, Seoul National University and Australia’s Monash University. UC Irvine, which ranked 9th, was the only other U.S. institution in the top 10. “These institutions can often feel disadvantaged in terms of wealth and historical prestige, compared to centuries-old institutions, but have much to offer in terms of dynamism, energy, risk taking and innovation,” said Phil Baty, the publication’s editorial director for global rankings. Times Higher Education’s rankings were based on teaching, research, citations, knowledge transfer and international outlook. UC San Diego ranked particularly high on research excellence and knowledge transfer.